HELP YOUR STREET TREES THRIVE! PLEASE DO YOUR SHARE TO IMPROVE OUR NEIGHBORHOOD Prospect Heights’ street trees need your help more than ever this Summer. Can our community count on you to do your part? If there is a street tree in front of or …..
Volunteering is better than going to the gym! On June 4, 2015, I volunteered to help clean up the Stroud Park and met all these wonderful neighbors. 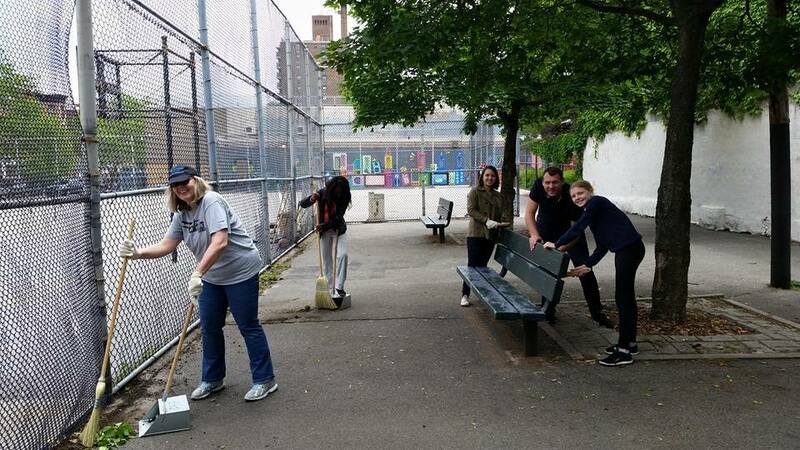 We cleaned up the park, scrapped off the old paint and repainted the …..
VOICE YOUR OPINION at CB8! 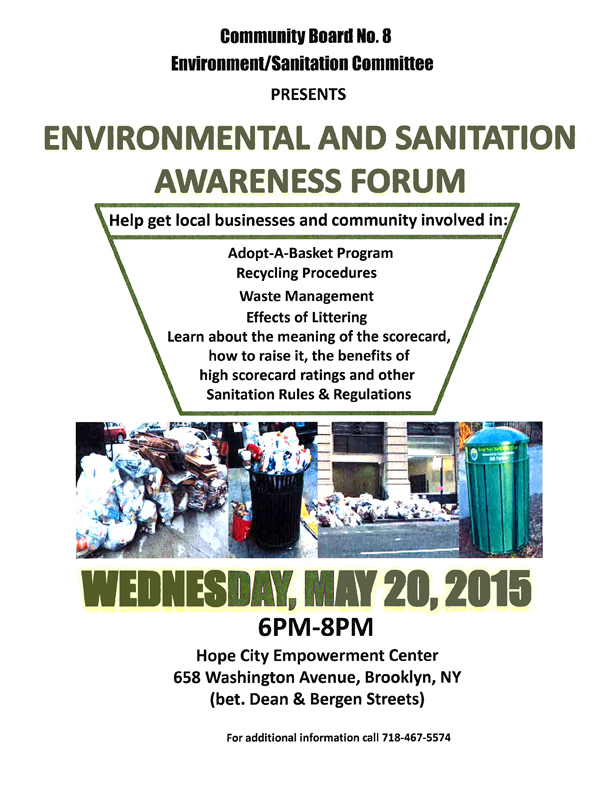 There will be a Community Board sanitation meeting on May 20th. Come with us and voice your opinion!